Frankfurt Book Fair is one of the most important marketplaces worldwide for printed and digital content and a great social and cultural event. Publishing experts, writers, and supply chain contacts from the creative industries across the world come together and Frankfurt becomes a hub for the media and publishing industry. 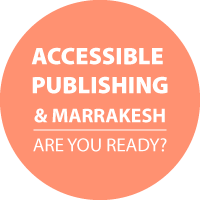 There is always an exciting focus on accessible publishing and we will keep our readers posted as these details become available. The popular mainstream publishing and technology conference, Digital Book World, will feature presentations on accessible publishing content and we look forward to updating you on our DAISY sessions at this event. As usual, there is wide variety of subject matter covered at this 3 day conference with many aspects of digital publishing highlighted. A stellar line-up of speakers is already stacking up so don’t miss out! Inclusive Publishing is continuing with its popular series of interviews with industry leaders and their approach to accessibility. Our first interview of 2019 is with Tzviya Siegman, Information Standards Lead at Wiley and a member of the World Wide Web Consortium Advisory Board. 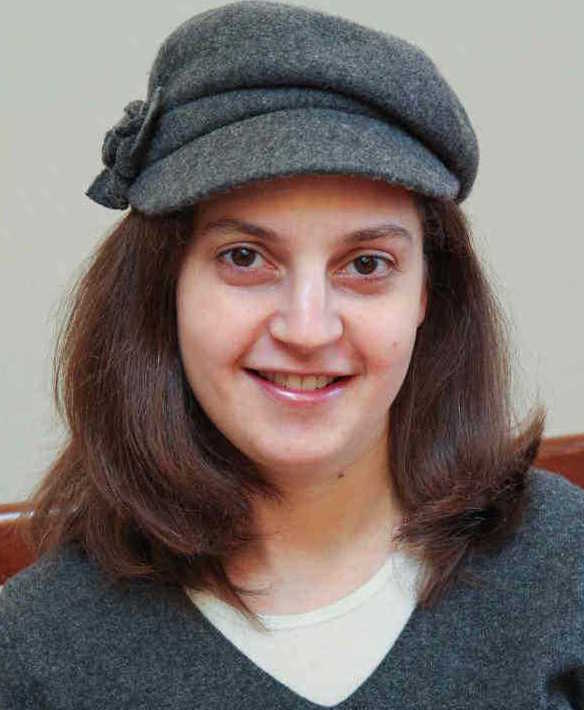 Tzviya is passionate about accessibility and has inspired many industry colleagues to embrace the accessibility opportunities offered by digital publishing. I have learned so much about the way that tools, systems, browsers, and reading systems work from my work on accessibility….it will help you become a better developer. Why is inclusive publishing important to you and/or your organization? Do you have a top tip for others new to accessibility? Start with the tools at W3C’s WAI website (https://www.w3.org/WAI/). Even after being involved in accessibility for years, I go back to these resources again and again. They start off simply and walk a beginner through the basics clearly. What do you wish you knew about accessibility 10 years ago? I wish I had a better understanding of “native” accessibility and the way that assistive technology works. Understanding the interactions of the Accessibility Tree and the DOM changed my approach to accessibility and design. There are a few articles and documents that can really help. Melanie Richards’ Semantics to Screen Reader (https://alistapart.com/article/semantics-to-screen-readers) explains this relationship really clearly. ·What do you think will be the biggest game changer for inclusive publishing in the next few years? There are so many things in progress that it is hard to choose just one. There is a lot of work happening in the world of SVG that could have a huge impact on accessibility. SVG can be made accessibly, and as it is becoming a more widely used and accepted format. I have heard rumors about the Canadian government offering funding incentives to Canadian-owned publishers who publish accessibly. That would make a real difference. For those still on the fence, why should they consider accessibility? Accessible content and platform provides a better user experience for all users. Further, most users experience some form of disability at some point in their lives, whether it is situational (e.g. power loss requires navigating without sight), temporary (e.g. a broken arm requires hands-free navigation), or due to age (e.g. low-vision). Considering all users is usually good for business. How have good inclusive publishing practices influenced the majority of your readers? Writing image descriptions forces us to think about what an image truly conveys. If an image is too complicated to describe well, maybe it is also too complicated for a sighted reader to understand and it needs to go back to the author for improvement? Can you sum up your attitude towards inclusive publishing in one sentence. Inclusive publishing improves your content and makes it more available and useful to all users. It might seem like a lot of work to make your content accessible, but I have learned so much about the way that tools, systems, browsers, and reading systems work from my work on accessibility. It is a lot of work, but it is also interesting work that will take you down a very interesting path and ultimately help your users. You will learn so much along the way, and it will help you become a better developer. Are You an Accessibility A11y? Ken started by setting accessibility in context: between 10% and 20% of the world’s population live with some form of disability; 36 million people are registered blind worldwide; and 217 million people live with some form of visual impairment. But the audience requiring accessible content is even larger than this, when you take into account mobility issues, dyslexia and attentional disorders, to give just a few examples. The concept of accessibility is not a new one: Braille was developed in the 1820s, the RNIB was founded in 1868, and the Universal Declaration of Human Rights explicitly included people with disabilities 70 years ago. So, while it may be tempting to think of accessibility as a modern phenomenon, it really isn’t – and therefore we have even less excuse for not having it at the heart of our publishing. And it was sobering to hear from Ken that currently less than 8% of the world’s books ever make it into accessible formats. Stacy Rowe (Reader Services Product Manager, RNIB Bookshare) asked us to think about what it means when content isn’t accessible. Imagine walking into a fantastic library, with shelves stretching for miles. You search until you find the book you want – but when you open it, you discover all the pages are blank. That’s what life is like when content is not accessible to you. And perhaps the pages you aren’t able to read contain the very information you need for your education and your future career: without this information, you won’t be able to start off your life on the right track. If we stop to think about it, there’s no need for the world’s publishing to be divided into ‘normal’ and ‘accessible’ content. If all content is structured in an accessible way, then everyone can use it. An accessible book is one that can be read using text-to-speech, enlargeable text and text-to-braille conversion – this is what we need to be aiming for. As long as our content is set up in the right way, it’s ready for apps and other accessibility devices to transform it into a medium that’s right for each user. As an example, Stacy demonstrated for us how an ebook can be read super-fast using text-to-speech app VoiceOver and transformed into Braille by an Orbit Reader device. Thanks to this technology, readers can access Braille content through a handy device small enough to fit in a coat pocket, instead of needing a five-foot-tall mountain of Braille printouts. 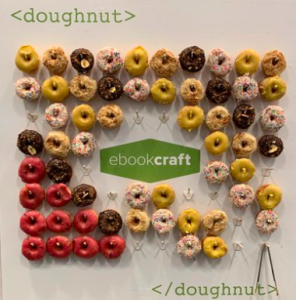 This demonstration underlined the fact that, as publishers, we don’t have to reinvent the wheel to make our books accessible: all we have to do is present our content in a well-structured way that people can use in the way they need to. There are lots of positive reasons for us to provide accessible content: we know it’s good to spread our books to as many readers as possible; it can give us an advantage over our competitors, and it can boost out corporate social responsibility profile. But it’s not all about the carrots: some of us respond better to the stick, and there are plenty of legal sticks out there that we need to be aware of. Alicia Wise (Director, Information Power and Founding Member, ABC) explained that the two key types of laws that affect us on issues of accessibility concern copyright and equality. The international copyright regime is monitored by the World Intellectual Property Organization (WIPO). The Marrakesh Treaty, administered by WIPO, enshrines the right of people with disabilities to make accessible copies without reference to copyright restrictions. Recent signatories to this treaty include the EU and USA – so its terms apply to us. We’re also obliged to follow the legislation of our own countries, such as the UK Equality Act 2010, which protects people from discrimination based on nine protected characteristics, one of which is disability. It’s vital that we’re aware of these laws, because the stick of legal action is real. Domino’s Pizza was recently sued in the UK for having a non-accessible ordering app, and other organisations have been held to account for accessibility failures too. 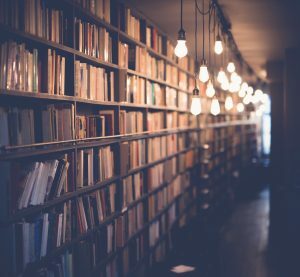 If you’re presenting the case for accessible publishing to your senior management team, the potential for damaging legal action is a motivating factor they are sure to take seriously. Do you have to be perfect straight away? No. If you’re honest, and signal your awareness of accessibility as an important issue, your willingness to engage with it and your desire for help, people will support you. So we shouldn’t be intimidated by the work involved – we just need to get started. Alicia pointed us to the free online accessibility checker, Ace by DAISY, and there are lots of people who are ready to help us live a stick-free future. Huw Alexander (COO and co-founder, textBOX) gave us a tour of one of the thorniest accessibility issues faced by publishers: how to deal with images. Publishers who have embraced the modern EPUB3 standard are able to deal with almost all aspects of accessibility, but describing images in a way that works for all users remains a tricky issue. And if you imagine using a textbook where all the images, graphs and infographics are blank or missing, you can see just how limited your access to the book’s information would become. Huw gave us some examples of the power of good image descriptions. A key factor is appropriateness: if a book has a picture of a painting simply to illustrate the concept of ‘paintings’, then the description can be very brief. But if, on the other hand, an in-depth book on art contains a reproduction of an artwork, then the description needs to be much more thorough. Looking at The Arnolfini Portrait, a detailed description would mention not only the couple standing at the centre of the work but also other key elements, such as the oranges in the foreground, signifying the couple’s wealth, and the fact that the only character in the painting who makes eye contact with the viewer is the couple’s dog. The level of information required depends on the context the image appears in. Adding image descriptions improves the user experience, and accessibility is a central plank of that user experience. Making your content accessible to more people makes your books better, leading to better sales as well as helping you fulfil your goal of sharing information – which is why we’re all in this business, surely. Overall, our first Unplugged panel of 2019 showed that there are a host of reasons to start producing accessible content: knowing we’re doing the right thing; reaching more readers; having a marketing and sales advantage; future-proofing our content by making it machine-readable; and protecting ourselves from legal action. And there are lots of people out there who can help us get started. So really, we have no excuse: it’s 2019 and it’s time to make our content accessible to everyone.